The enhanced operating parameters make it ideal for most traffic applications, with a serial link to communicate with a host device. The Automated Frequency Selection (AFS) and tuning algorithm allows for quick and accurate installation, even in noisy sites. TR0100A / TR2512A UK Highways Agency pin configuration for motorway use. The 664 analyses 21 combinations for each channel and selects the best operating conditions. 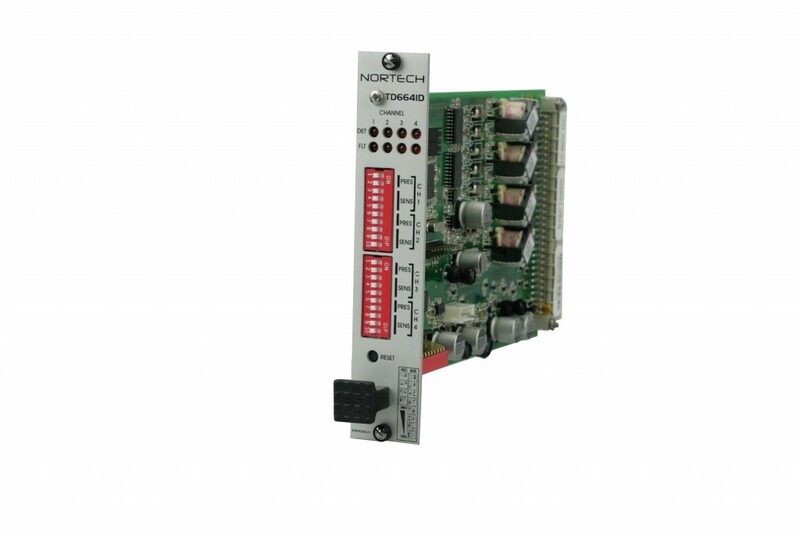 Maximises performance while minimising crosstalk and interference issues. 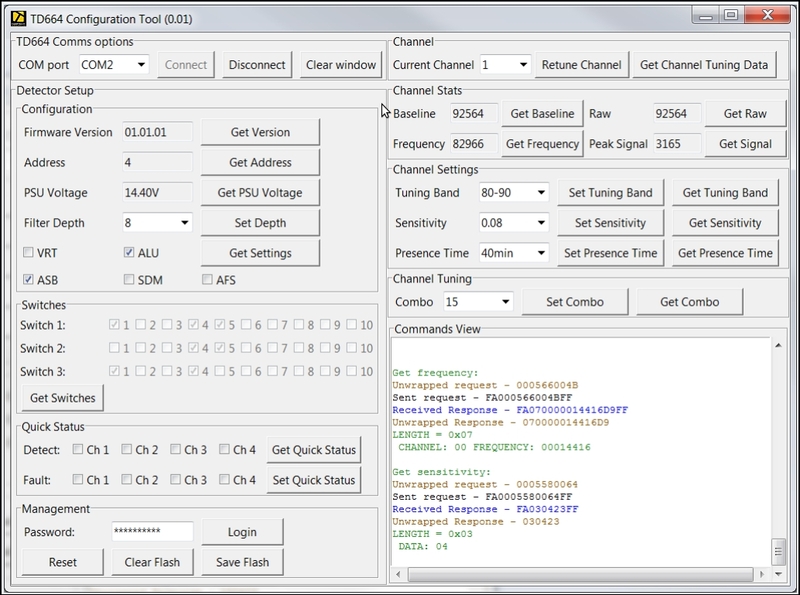 Tuning band selection – If AFS is not used then a frequency band can be specified for each channel and the detector will ensure the operating frequency is placed in that band. This gives the installer a high level of control during site commissioning. Specific combo selection – The installer has the option to exactly specify which of the 21 combinations to use for each channel. This is useful for complicated sites with high levels of interference where the installer can have maximum control. The TD664 High Speed counting core offers accurate detection on main and axle loops. Quick response time and low jitter provide accurate speed and length measurement. If required, the response time can be reduced by reducing the sensitivity levels. This provides greater accuracy for speed and length measurements by reducing the response time jitter. Channels that have been turned off have the option to be skipped completely or have the loop de-energised for their sample period. 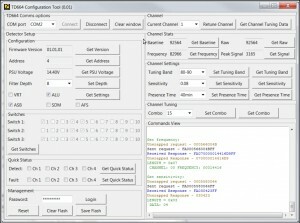 TD664 Software tool provides ability to configure all parameters on the detector and analyse its performance. Debugging information can be gathered to analyse any issues on the detector. Firmware upgradeable: the TD664 allows the unit to be updated with the latest firmware version.